Congrats! Simon Harris and wife Caoimhe welcome their first child | SHEmazing! 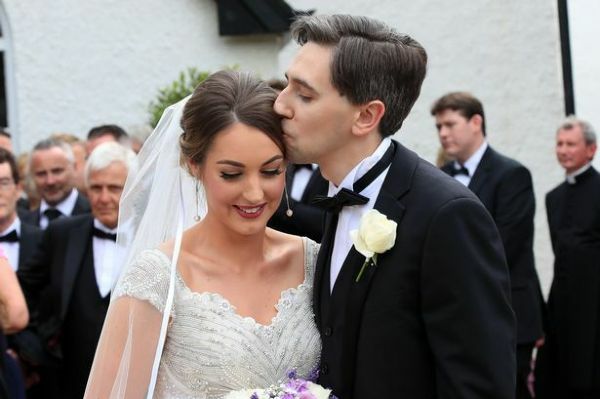 Huge congratulations are in order for Simon Harris and his wife Caoimhe. The Minister for Health confirmed that they welcomed a gorgeous baby girl into the world. The proud dad shared a series of images from the hospital and his darling girl is too cute for words. Just look at her little face. Simon and Caoimhe looked as proud as punch as they cuddled up to their little girl in the heartwarming photos. “Caoimhe and I are delighted to welcome our beautiful little daughter into the world,” he gushed. People were quick to congratulate the doting parents who announced their pregnancy joy back in July. “Congrats to you both Simon. Delighted for you. Hope Mum and baby girl are doing well,” one said. We couldn’t be happier for Simon and Caoimhe. We’re sure they’re going to pick the most perfect name for their tiny tot.